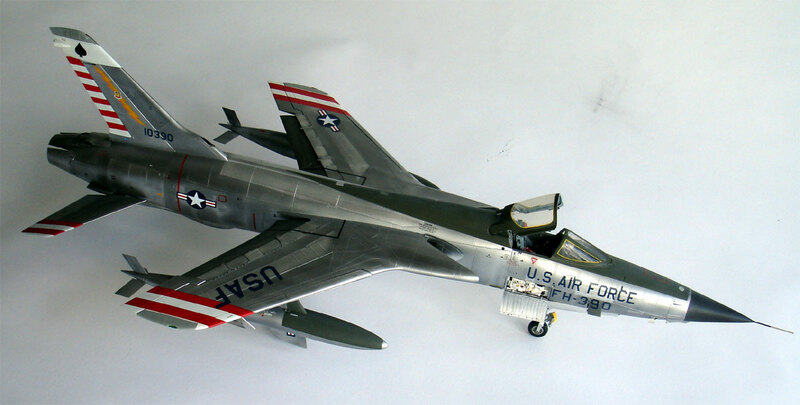 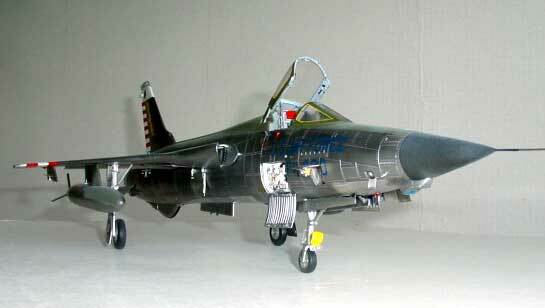 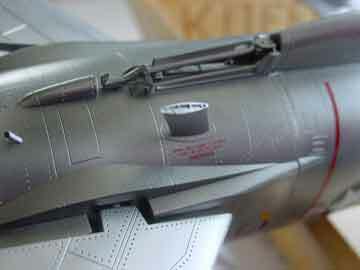 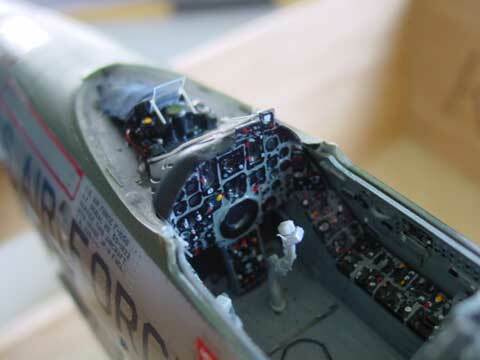 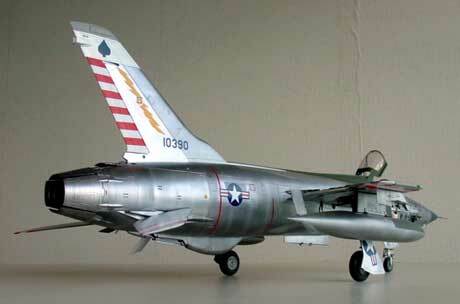 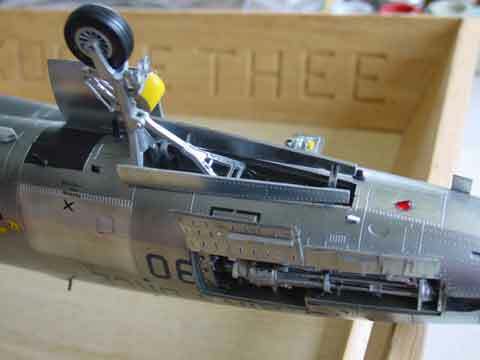 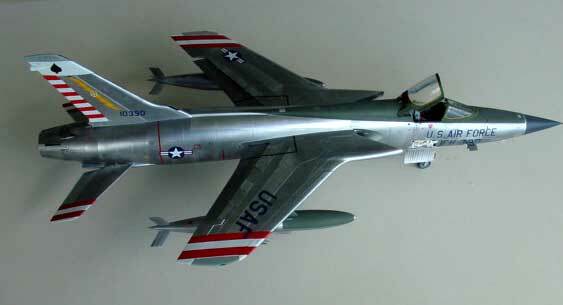 The Trumpeter F-105 kit was further finished. 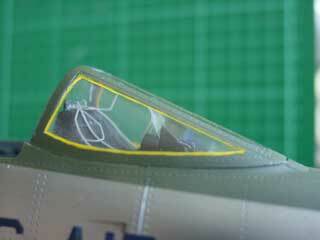 Also note the yellow edge around the windscreen, typical of these planes. 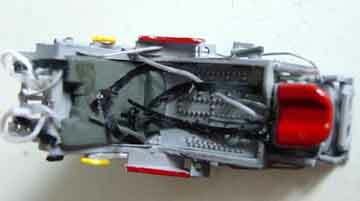 The screen cockpit section got some extra detailing with stretched sprue and rod. 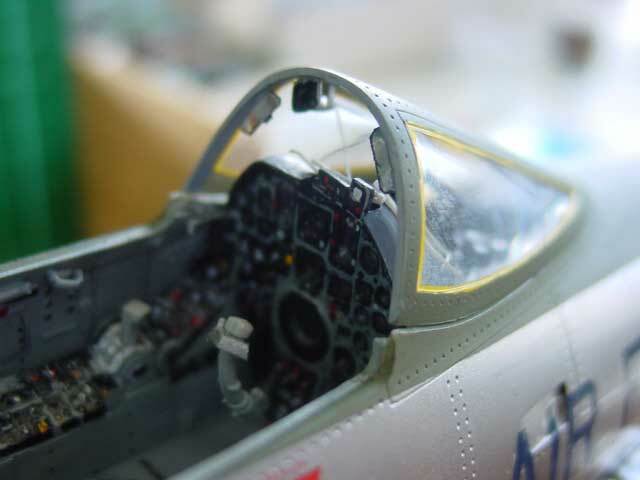 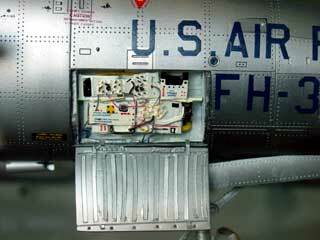 The avionics bay had some detail added form card and sprue and the the smaller opened panels got some detailing. 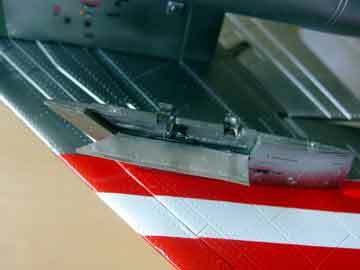 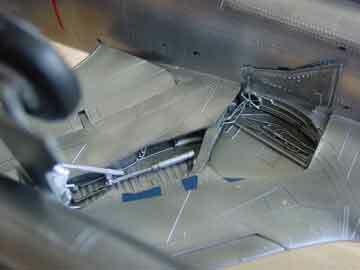 The section near the tail hook. 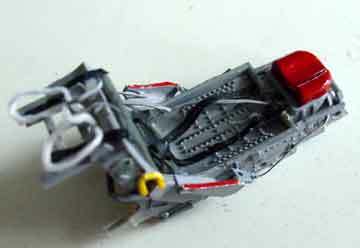 The seat of the kit was slightly adapted (see page  ) , the arm rests being improved and details added. 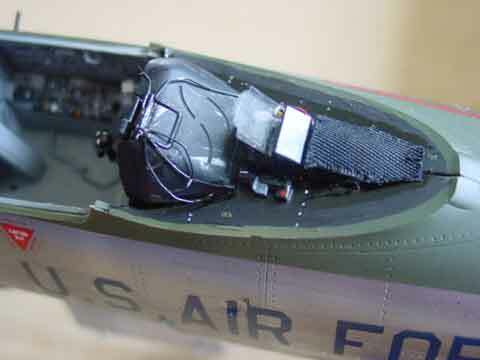 The seat can be seen here.... seat straps were made of tape and the "lead" of a wine bottle. 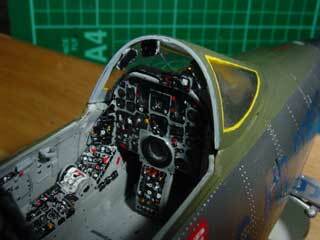 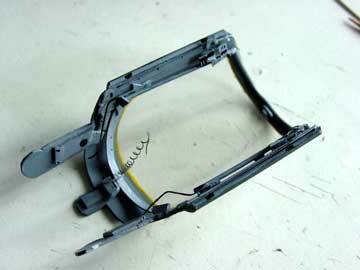 Also 2 mm were removed from the "legs" of the seat (part # F10) to get some more room in the cockpit. 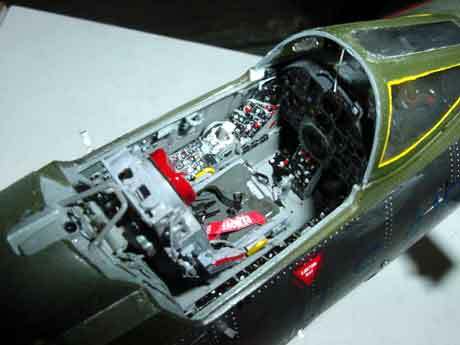 The seat was set into the cockpit; the canopy was also set in place, but is removable from the model for transport and cleaning purposes. 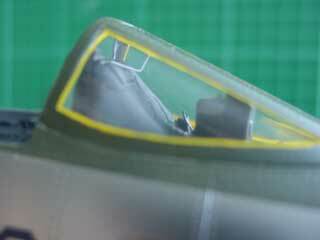 The newly made canopy (see page  ) got internal details from scrap plastic and got painted. 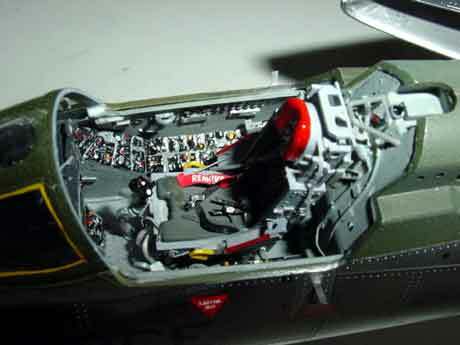 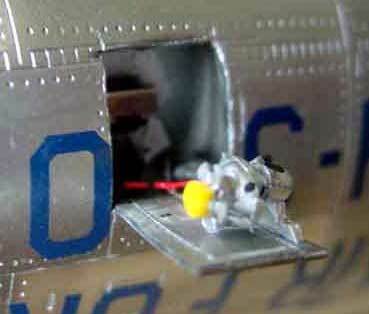 The model of the plane itself is now ready. 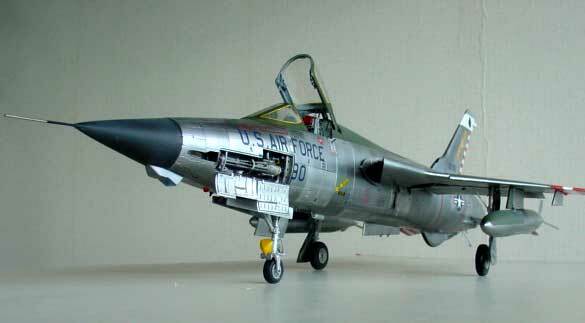 Extra "stores" can be added and this will need some extra research as an early F-105D did not carry "all the types of stores" as provided in the kit. 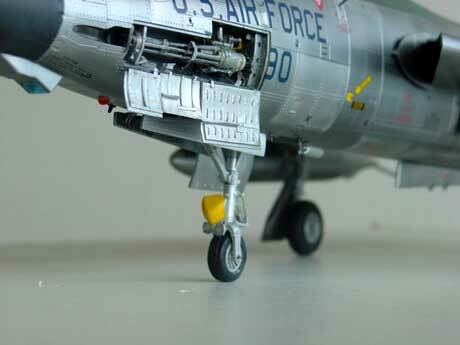 I decided to leave them off.